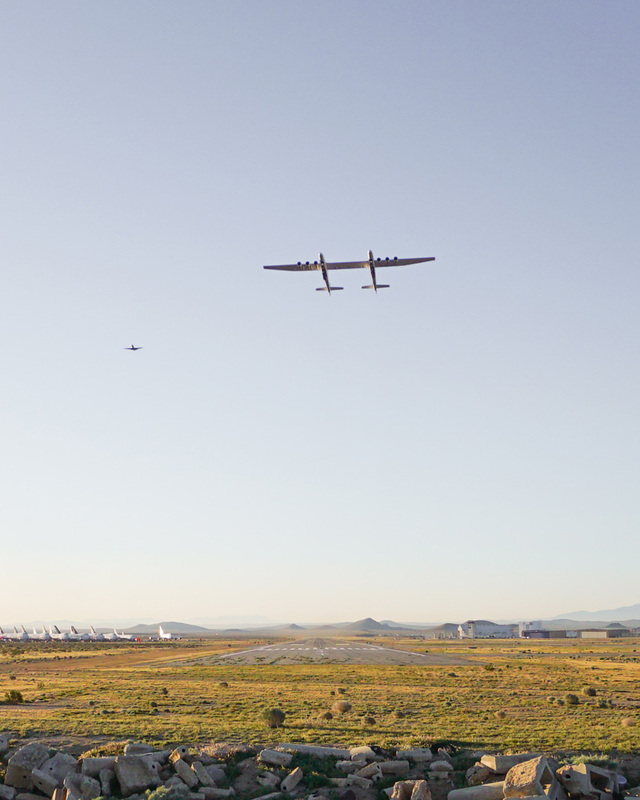 we’ve been following the stratolaunch for a little while now. 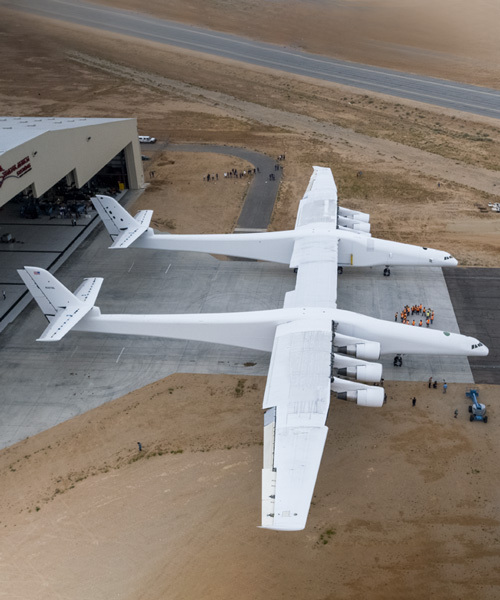 boasting a wingspan of 385 feet (117 meters), the double-bodied airplane is the largest in the world, designed to launch rockets into space from the air. it has been eight years in the making, but has been kept in it’s custom-designed hangar in california with only a few glimpses here and there. 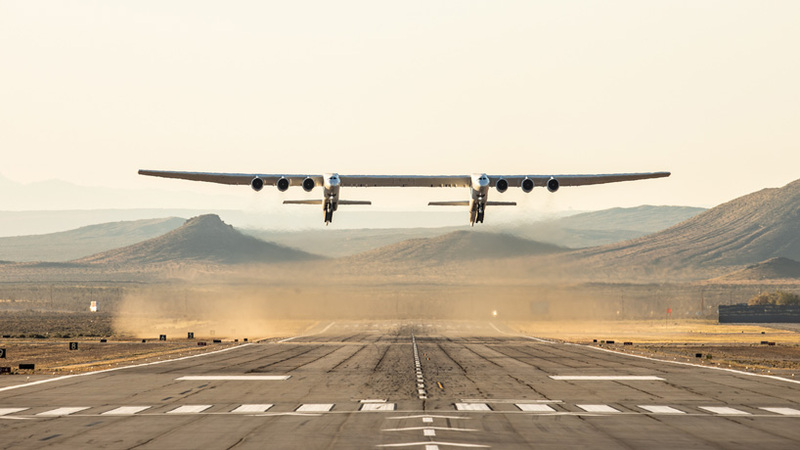 but now, not only has the stratolaunch taken flight for the first time ever, it has successfully landed too. 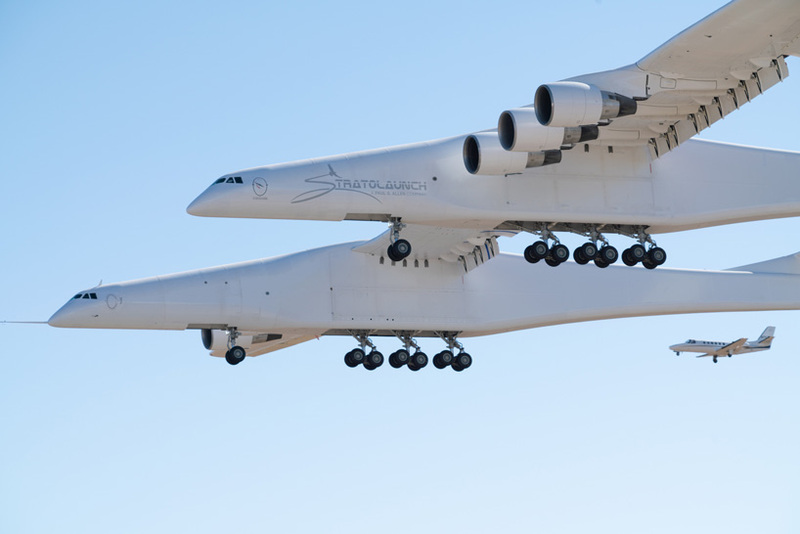 the stratolaunch is designed to carry 250-ton rocket ships loaded with satellites to a height of 35,000 feet. by 2022, the company hopes to use the twin-fuselage, six-engined, catamaran-style aircraft to launch satellite-bearing rockets into space. it is essentially a flying launchpad with multiple benefits including its ability to take off from a regular runway and fly above or around bad weather. this makes launching rockets a lot easier whilst giving them a head start on their journey, saving fuel costs and making access to space more convenient, reliable, and routine. 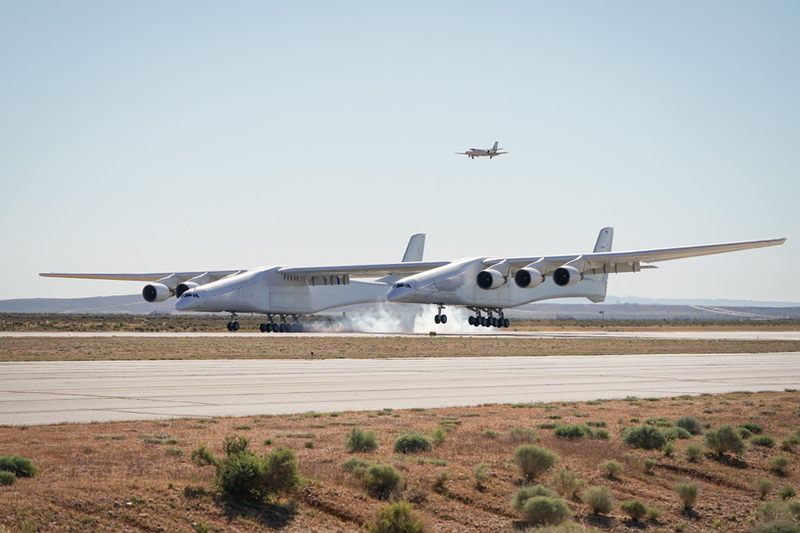 saturday marks the first test flight for the aircraft, lifting off shortly after 10AM ET from mojave air and space port in california. the inaugural flight lasted for 150 minutes, according to the company, after which the plane safely landed. the aircraft reached a maximum speed of 175 miles per hour and a peak altitude of 15,000 feet.